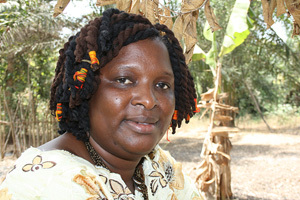 DAKAR, 8 August 2011 (IRIN) – When Marie Jalloh first ran for office in 2007, resistance to women in politics in Sierra Leone was so strong she faced harassment and intimidation from local authorities. Now, not only is she a member of parliament; she and other women, along with local NGOs, have brought the country closer to a legal quota for women in decision-making posts. Entry filed under: Uncategorized. Tags: africa, Dakar, democracy, developing world, development, Helping Women Helps the World, IRIN, Marie Jalloh, Sierra Leone, women, women in politics, women's development, women's rights.